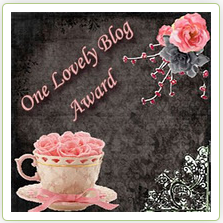 It has bee such a long time since I have blogged. I wish I could say I have a good excuse, but other than being completely overwhelmed with my personal and professional life, I have nothing. We have been working on multiplication and division and have had some fabulous lessons that I will share with you in the coming weeks. We have moved on this week to time. 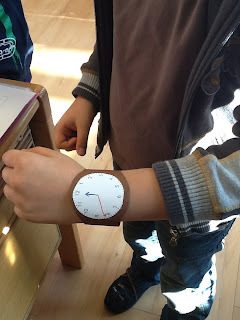 For most third graders telling time is quite simple but with the disappearance of Analog clocks I want to make sure they have a solid understanding. I don’t want them to end up like my sister (Senior in High School) who can’t read an Analog clock because according to her “there are only digital clocks in all the classrooms and I have my cell phone the rest of the time”. I was sick yesterday so Nilde (my teaching partner) did a review of the clock with them and gave them some homework to practice. I was looking for something a little fun to do, because looking at clock after clock on a worksheet can get a bit boring, when I stumbled upon this cute idea on pinterest. 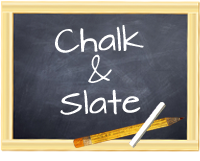 I believe this activity was for a much younger class but I adjusted it to work for my kids and they had a great time. 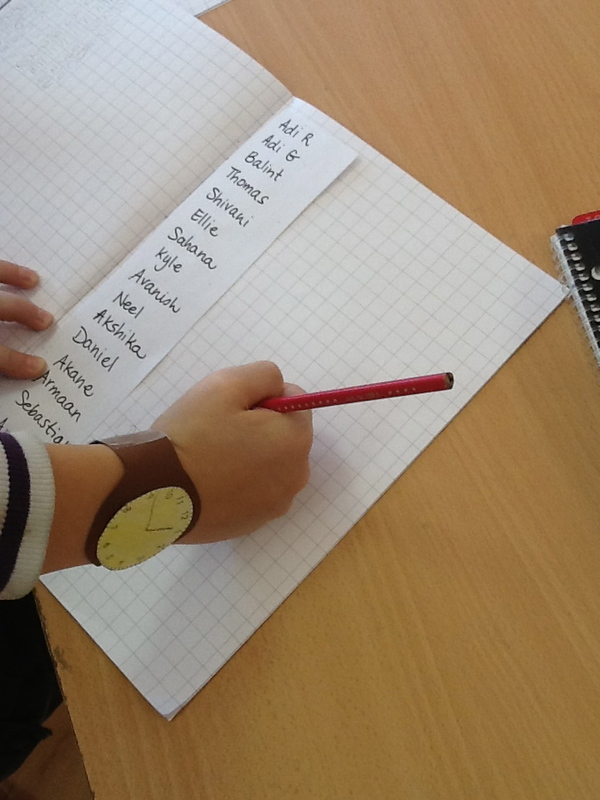 In English we are working on writing a set of instructions. I referenced the instructions lesson and wrote a set for the kids to follow for the activity. 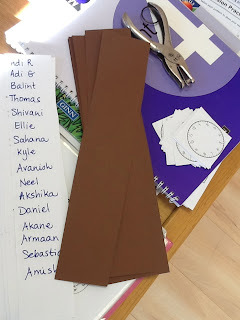 I gave each student one clock face, one strip of brown construction paper and one list of class names. 6. Now have fun and ask each member of class "What time is it?" Once they show you their watch write down the time next to their names in the Journal. 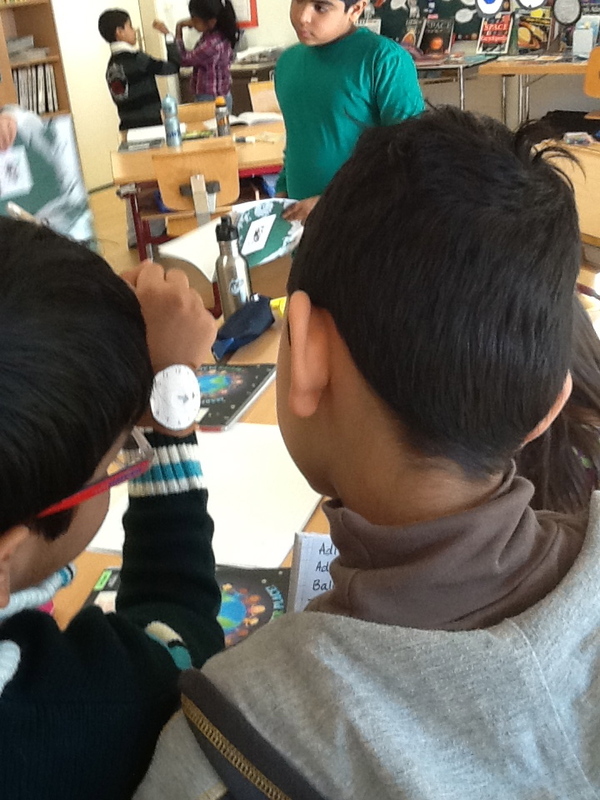 The whole class enjoyed the activity and it gave me a great opportunity to see who really can tell time and further more, who can draw the hands on the clock accurately. Because we are learning about am/pm and military time I then asked each student to write the time as if it was afternoon. This proved to be a bit more challenging for some but was good practice. When reflecting on the lesson several kids realized that they hadn't asked the person if it was am or pm and that they needed that information to write the correct time.